I never knew what to say to you. I had too many things to say but every time you were next to me, staring into my eyes, I didn’t know where to start. I was a waste of a soul. Always wandering around, spending my nights here and there with strangers. I didn’t know there could be love. At least not for me… and then, I met you. It was like meeting a male version of me. So disturbing, you were. All the time. I saw myself in you so often that I couldn’t handle it. I never knew I was so annoying until I met someone JUST LIKE ME. It was perfect. Every bit of it, so wonderful and new. I didn’t want to let you in. I didn’t want you to see me in case you don’t feel the same. In case you break me. I felt I was in danger because I liked you too much. The moment we said ‘hi’, I was so terrified for the first time in my life, because I knew. A long time after, still in denial of how much I was falling for you. I could smell you when you weren’t even there. I would miss you the second you would leave me on my doorstep. I would miss your voice the second you hang up your phone. I had the taste of your lips on me and it was the best taste I ever knew. 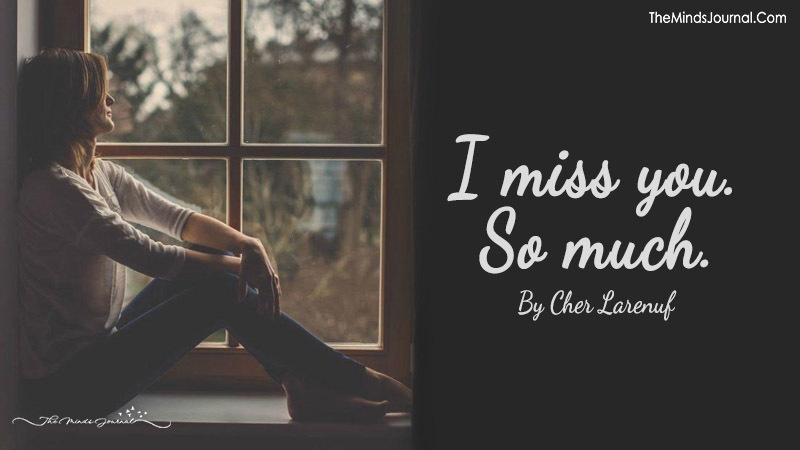 I cry at every single word I write at this moment because you’re not here, but mostly because I’m not there. Because I was stupid and selfish and an idiot who focused on jealousy and pointless stuff so often that I missed moments with you because I didn’t know how to love you. Although, your way hurt me because you never cared enough and you never talked right to me. and although, there is no point in writing this… no point in missing you or loving you.. although, everything.. please know, you will always be great to me. First loves are always great, no matter what, right? And you should always know how great you are. I don’t think there is a way of closing up this stupid love letter. I think I could talk for hours and hours about every single thing you’ve ever said to me… every single moment we shared.. every single experience.. every single laugh.. every single everything ’cause I miss all of it. But it is ok now. Please take care, even though you’ll never read this… I always love you. Still.